BSS Audio and Crown have 40 years of combined networked audio system leadership. HiQnet Audio Architect brings the expertise of these brands together into a single solution. SOUNDWEB LONDON FAMILY : OUTSTANDING SOUND QUALITY. UNDAUNTED BY SCALE. 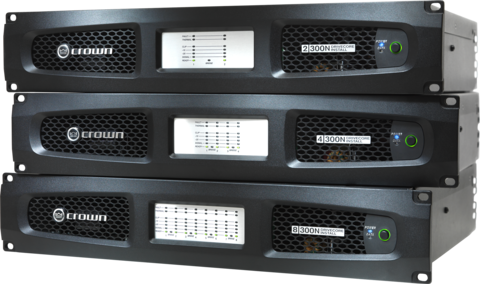 With a choice of fourteen different open-architecture processors within the Soundweb London family and input / output card flexibility within several of these devices, Soundweb London represents a truly flexible and scalable system. Flexible not only in hardware but also in software configuration. You enjoy total flexibility of signal path flow and connectivity, a massive range of processing objects modeled on classic BSS Audio processors, and the freedom to design the system exactly how you want it. 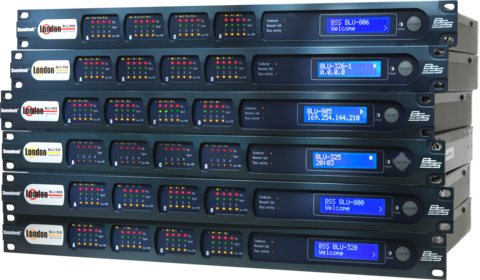 With its range of audio networking solutions, DSP capability, input / output expansion or a specific mix of functionality, Soundweb London offers the building blocks of a tailor-made system. Moreover, the experience with, and suggestions from thousands of clients have enabled BSS Audio to enhance Soundweb London’s power and flexibility to unprecedented levels. DRIVECORE INSTALL SERIES : INSTALLS ANYWHERE. OUTPERFORMS EVERYTHING. Multiple patents – more than any of our competitors combined. Historical audio achievements. Innovative technical advances. Crown’s world-renowned reputation for excellence – built by 65 years of uninterrupted achievements in sound – continues with the introduction of the next generation of installed sound amplifiers featuring DriveCore™ technology, the DriveCore Install Series. The culmination of nearly two decades of R&D in PWM and switch-mode amplification, DriveCore seamlessly integrates the amplifier drive stage into the power output stage and fuses everything into one very, tiny but extremely powerful chip. This single, revolutionary chip allows us to replace 500 parts, greatly reducing design complexity compared to that of traditional amplifiers while creating more efficiencies, long-term reliability and unsurpassed performance. A DCi 4|600 delivers more than twice the power while using just half the space of a CTs 4200 – with almost half the current draw – and drives 100Vrms lines at 600w. With digital audio transport via HARMAN’s proprietary BLU Link, plus balanced analog inputs, the DriveCore Install Series gives you a tremendous audio advantage – at a much lower cost.